The Baconing is the third game in the DeathSpank series and has players starting a new adventure. 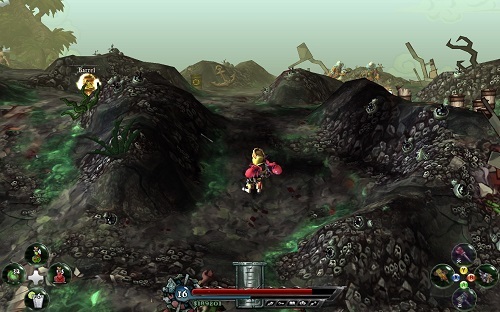 Gameplay is a similar experience to the first two games with humour also returning as a core game element. This new adventure once again follows DeathSpank and his crazy adventures. After deciding to put on all the magical Thongs of Virtue DeathSpank finds that he has accidently created an evil clone of himself (AntiSpank). In order to deal with the situation it’s up to DeathSpank to destroy the Thongs of Virtue in the Fires of Bacon (which is where the game gets its name). If you were to compare the gameplay that The Baconing offers to the previous DeathSpank games you’ll find mostly the same experience so don’t expect too much change in the core elements of the series. The game does feature significantly less fetch quests compared to the previous games though which was one of the biggest concerns that the developers received from fans. This does help the quests feel less repetitive which is always a good thing in the action RPG environment. One new feature is the addition of DeathSpank’s shield which allows players to bash enemies off them or reflect ranged projectiles, adding an extra option in combat. The game’s sidekicks have also been expanded to four so players have more choice in the multiplayer environment. 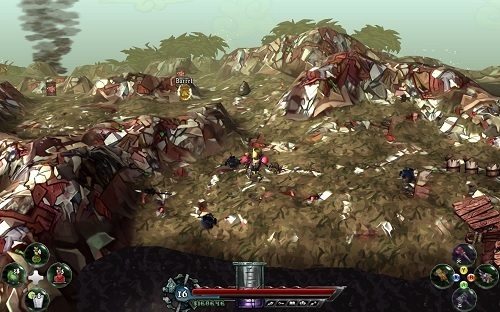 The series of DeathSpank games have always had good solid gameplay and this continues in the third game of the series. The deal breaker for DeathSpank is its comedy aspect though, if you’ve loved it from previous games then the purchase is a no-brainer. If the comedy aspects never appealed to you it’s easy to pass over it. Third game in the DeathSpank series. New shield lets you knock enemies back or deflect projectiles. A total of four sidekicks to use in multiplayer gameplay. Still plenty of humour left in the series.